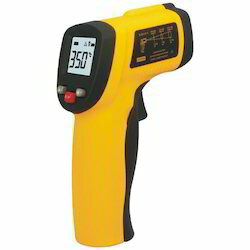 Prominent & Leading Wholesale Trader from Mumbai, we offer infrared thermometer, digital thermometer, portable digital thermometer and laboratory glass thermometers. A basic type Infrared Thermometer is an ultra sensitive thermometer that measures even the smallest change in your body temperature. It is more accurate, and more reliable than normal glass thermometers. Our thermometers provide accurate temperatures in about 60 seconds. These thermometers have a simple push-button start and a large LCD screen for easy readings. Being a well known firm, we present an excellent series of Digital Thermometer. Our mentioned product is highly appreciated by our prestigious customers for its durability and precise design. The mentioned product can be bought in various specifications. The mentioned range is fabricated by a group of adroit professionals using quality certified material and technology. 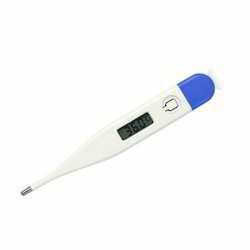 We are offering a wide range of Portable Digital Thermometer. One Hour Auto Shut Off, 133mm Stainless Steel Sensor Probe with 1 metre wire. Backed by rich industry experience, we offer diverse range of Thermometers Laboratory Glass. This is a an instrument for measuring the temperature levels of various things such as human body, electrical appliances, cold storage etc. Most common type of thermometer is mercury-filled ,which is used for ascertaining the fever levels of patients. Simple thermometers usually consist of a temperature scale and glass tube filled with liquid solutions such as mercury, lead, alcohol etc. 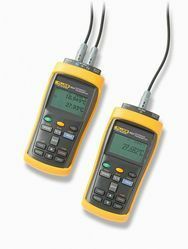 Advanced thermometers use digital screen to display temperature of the places, melting and boiling points of metals and other objects. 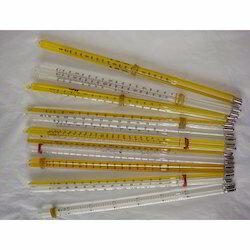 Looking for Thermometers Laboratory Glass ?